New Delhi, 19 things not to miss, the ultimate guide. New Delhi, is not only Indias largest city and capital is also the world’s 4th largest city’s when it comes to population. New Delhi is one of the oldest city’s in the world with its history stretching back to at least 6th BC. So it’s no surprise that New Delhi got tons to offer, from historical World Heritage sights, modern architecture, to the smells, colours, and madness that you usually would think of when you hear about India’s capital. Most people have a love and hate relationship with New Delhi, I know Indians that refuse to visit their own capital, and I know foreigners that live there. My Indian friend over at Drifter Planet have made her own guide with 30! Things to do in New Delhi. Check it out. I have been coming to New Delhi and India since 2009, and I can easily say that things have changed drastically in the city over the years, from having a non-existing public transportation system to now, one of the best subway systems in the world. Are you planning a trip to Mumbai and looking for a travel guide? Click here to read Mumbai(Bombay) City Guide: India’s City of Dreams. Another thing that has changed over the years is it now neither, the awful tuk-tuk drivers, tuts or scam artists that are the biggest annoyment to foreigners, now in 2016, is it the Indian government itself that cheats tourists the most, with some utterly ridiculous ticket prices to visit sights around the city. All ticket prices were increased for foreigners from 1.April 2017. The world-famous Lotus temple is made of pure marble and is shaped like the lotus flower, the universal symbol of the four religions: Hinduism, Buddhism, Jainism, and Islam. The temple is open to everyone, but you’re not strictly not allowed to take photos inside the temple, the lotus is surrounded by a big green park, its a very relaxing place, but get there early in the morning, before the crowds start to arrive. Nearest Metro Station: Kalkaji Mandir. (Purple Line). Opening Times: Tue-Sun 9 am to 17.30, Mondays closed. 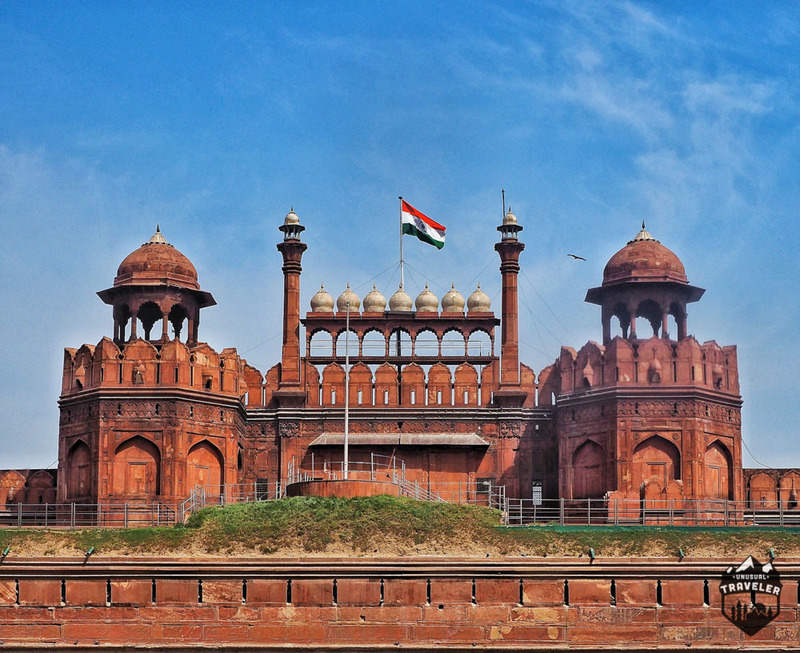 The Red Fort is probably the most famous sights in New Delhi; it´s one of the most important buildings in Indian history, it was constructed in 1648 by the fifth Mughal Emperor and become the home to the Mughal emperor of India for nearly 200 years, until 1857. 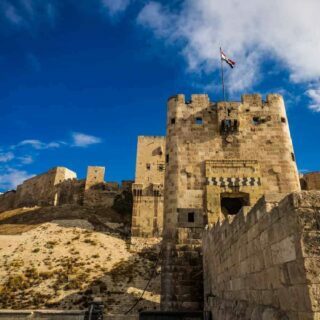 It became a Unesco world heritage site in 2007. Nearest Metro Station: Chandni Chowk (Yellow line). Opening Times: Tue-Sun 9:30 AM – 16:30, Mondays closed. Entry Fee: 500 Rs for foreigners, 10Rs for locals. Worth a visit? 6/10. It´s actually more impressive from outside than inside. 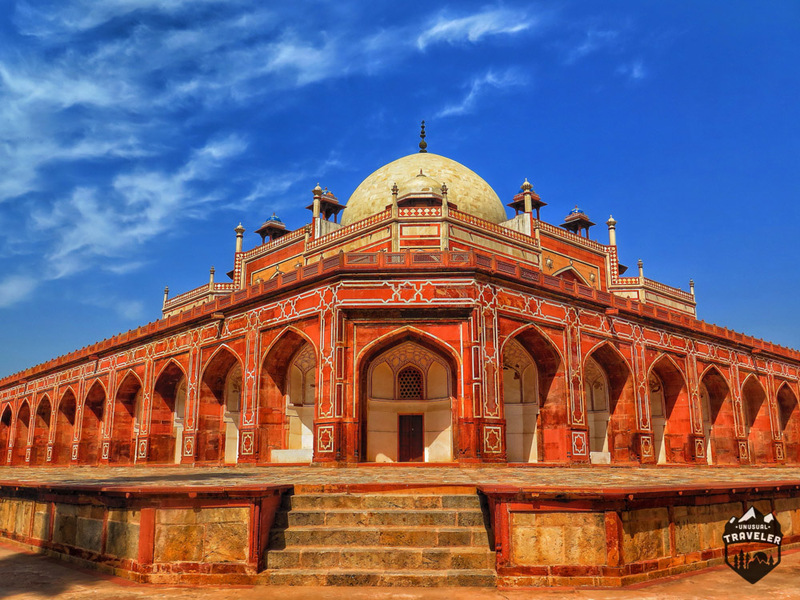 Humayun´s Tomb was constructed in 1565 – 1672 and is the resting place for the second Mughal emperor. It was the first garden-tomb on the Indian subcontinent. Nearest Metro Station: JLN Stadium (Purple Line), then a short tuk-tuk ride. Opening Times: Every day from 9.30 AM to 16.30. Entry Fee: 500 Rs for foreigners, 10 Rs for locals. 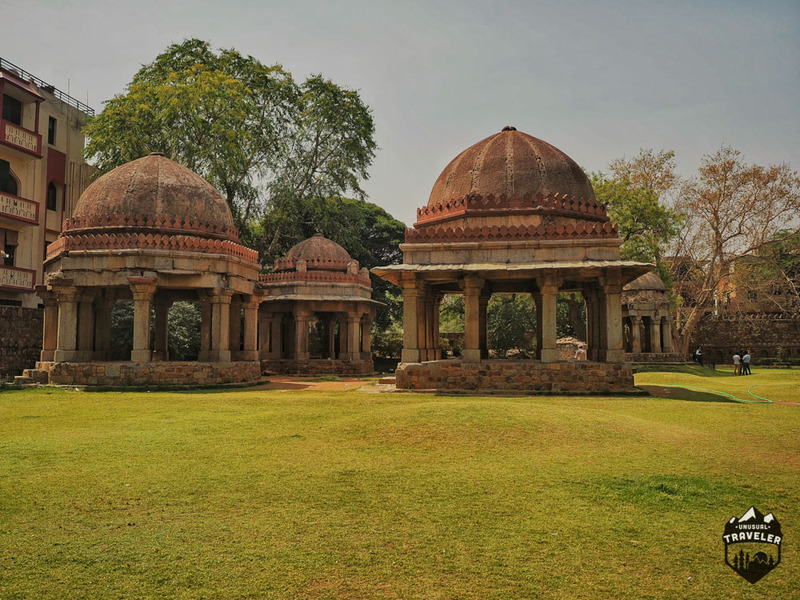 Lodhi Garden is not only the most peaceful parks in central New Delhi, the park it “dotted” with ancient tombs and other buildings dating back all the way to 1444. It´s the perfect place hide away from the crazy traffic and hassle in New Delhi for a few hours. Nearest Metro Station: JLN Stadium (Purple Line) / Khan Market (Purple Line). Opening Times: Everyday from sunrise to sunset. 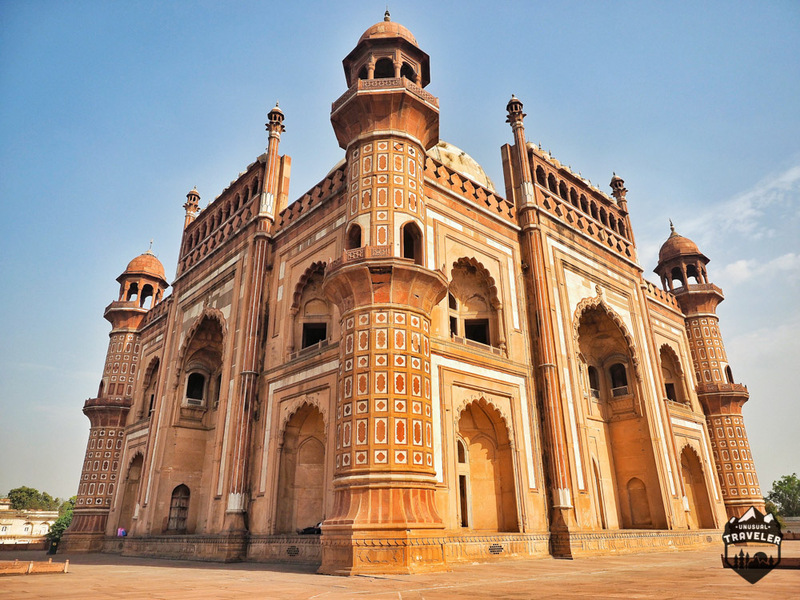 Safdarjung Tomb is an impressive tomb built in red sandstone; it was the last garden tomb of the Mughals empire constructed in 1753- 1754. I personally prefer this tomb over the other tombs that are around New Delhi. 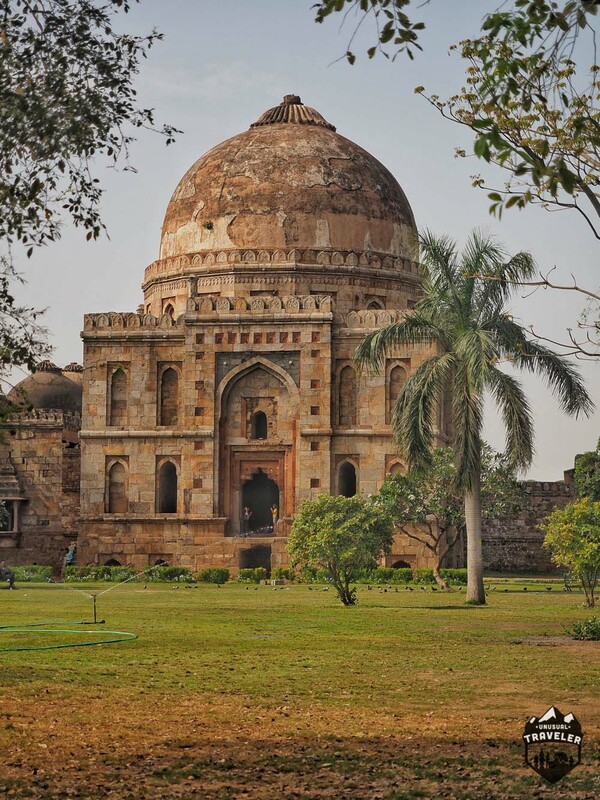 Tomb of Safdarjung is located just across the street from Lodhi Gardens. Nearest Metro Station: Jor Bagh (Yellow Line). Opening Times: 9.30 AM to 16.30. Entry Fee: 100 Rs for foreigners, 5 Rs for locals. 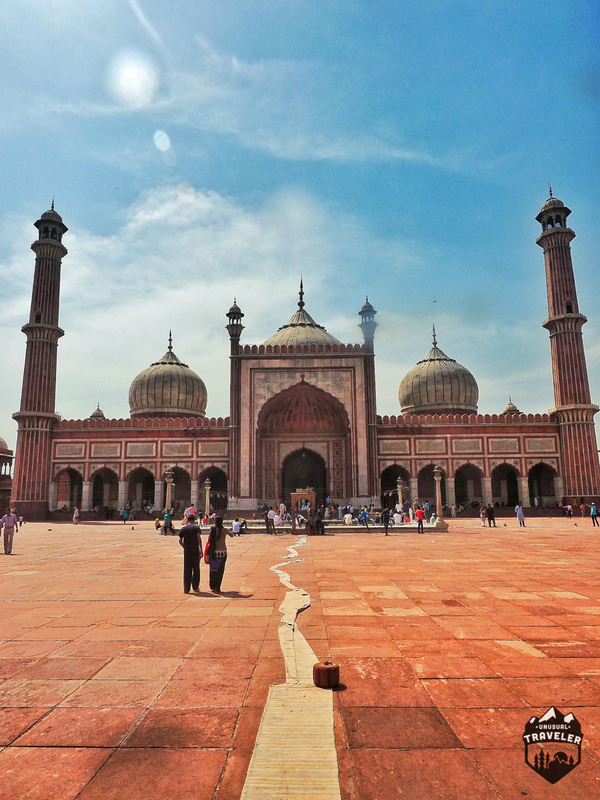 Jama Masjid is the largest mosque in India and can hold up to 25 000 people during prayer! Tourists are not allowed inside during praying seasons. Nearest Metro Station: Chawri Bazaar (Yellow Line). Entry Fee: The complex is free to enter, but foreigners have to pay 300 Rs to be allowed to take photos even if it’s only your mobile phone. At the center of New Delhi, is India gate, one of the landmarks of the city. It commemorates the 70,000 Indian soldiers who lost their lives fighting for the British Army during the World War I. The monument bears the names of more than 13,516 British and Indian soldiers killed in the Northwestern Frontier in the Afghan war of 1919. Opening Times: 24/7 Every day. 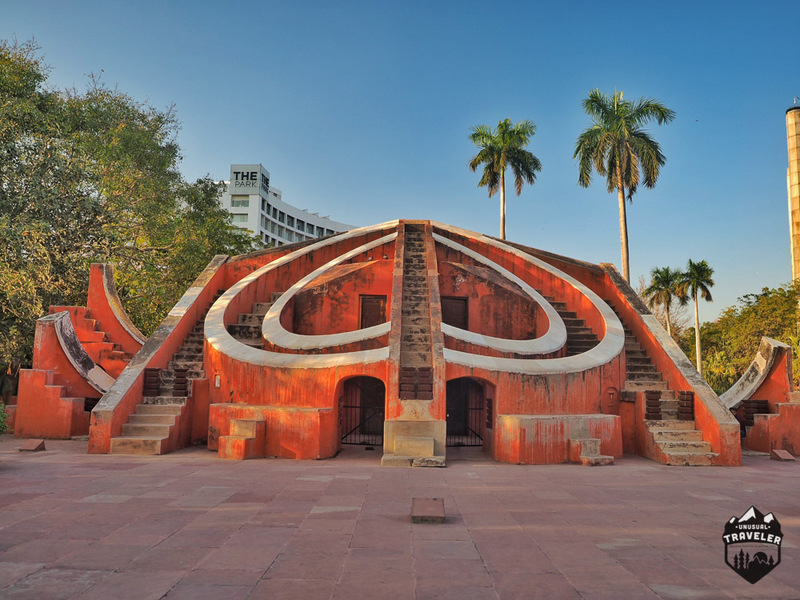 Jantar Mantar is an old astronomical observatory, it was constructed in 1724 and was one of 5 observatories designed by Jan Singh 2. The four others are located in Jaipur, Ujjain, Mathura, and Varanasi. Opening Times: Every day from sunrise to Sunset. Agrasen ki Baoli surrounded by skyscrapers. 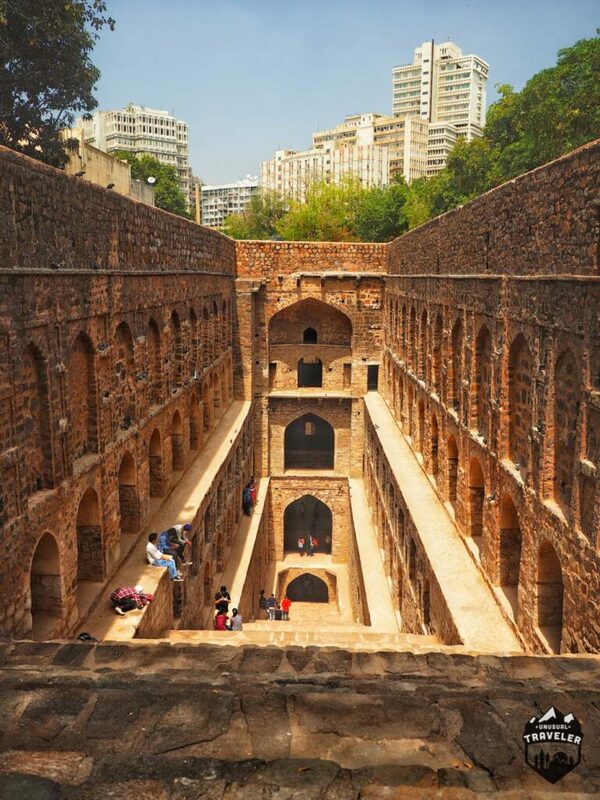 Agrasen ki Baoli is 103 steps deep, steep well right in the middle of New Delhi. There´s are no known historical records about who built Agrasen ki Baoli, but it is believed that it was originally built by the legendary king Agrasen during the Mahabharat (3124 BC) period and rebuilt in the 14th century. It´s very surprising that an ancient site like this can survive in the middle of one of the most expensive areas of New Delhi, it’s literally surrounded by skyscrapers. PS. The places it’s said to be haunted. Dilli Haat is not really a sight. It’s a permanent open-air market that has stalls from every state across India selling local traditional art and fabrics. 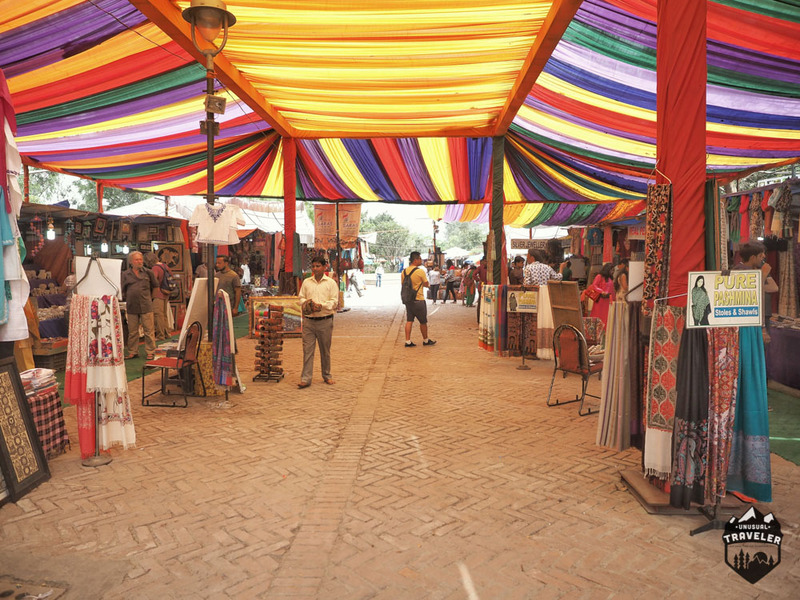 Dilli Haat offers a hassle-free shopping experience. Hauz Khas is not only one of New Delhi’s hippest areas. The name Hauz Khas comes after an ancient water reservoir, and there are tombs of Muslim royalty from the 14th to 16th centuries around the park. Just outside the park is Hauz Khas neighborhood, some of the happiest places to go out drinking or enjoy food in New Delhi is in this area. One of the bars offered UNLIMITED beer for 300 Rs. A good reason to visit the place on its own. The spot where Gandhi got cremated. 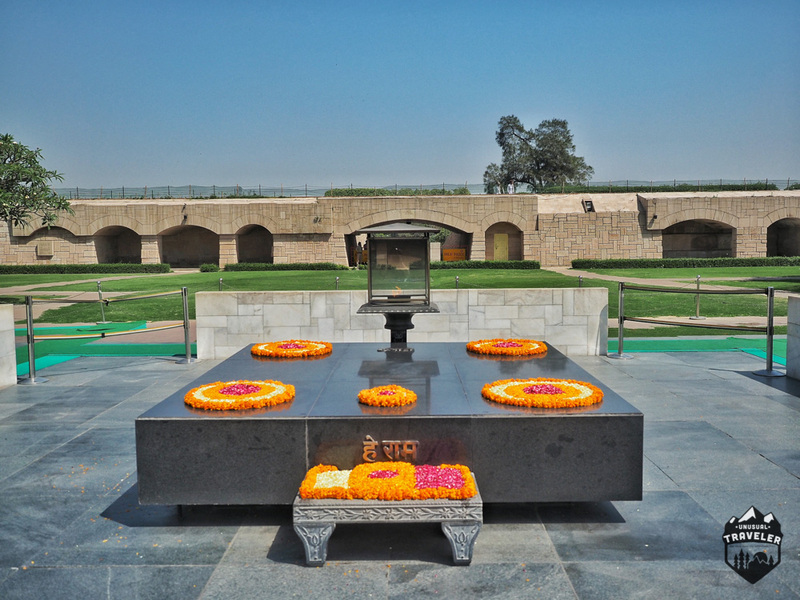 Raj Ghat is Gandhi’s memorial. The black marble platform that marks the spot of Mahatma Gandhi’s cremation on 31 January 1948. Nearest Metro Station: No metro close by. International Society for Krishna Consciousness (ISKCON). 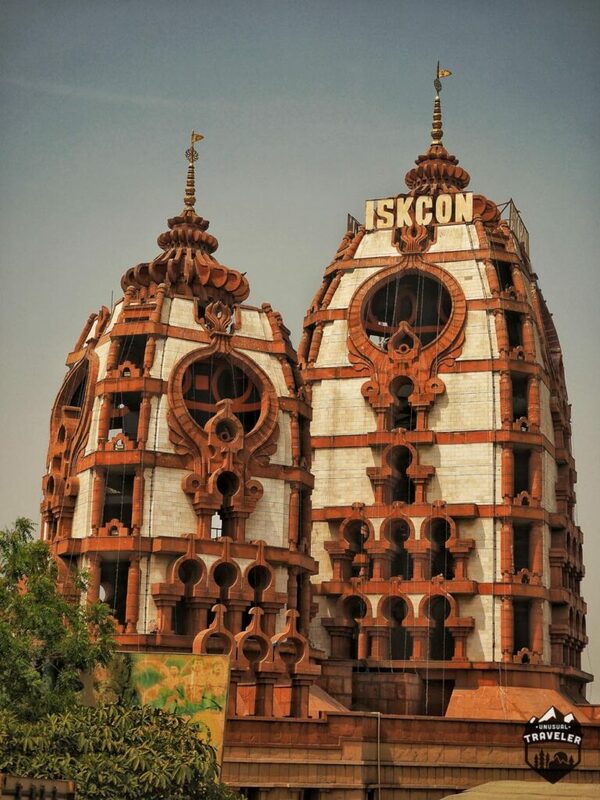 ISKCON or International Society for Krishna Consciousness. Is the main Lord Krishna Temple in New Delhi, its located only a short walk from the Lotus Temple. Nearest Metro Station: Nehru Place (Violet Line). Akshardham is a fantastic looking Hindu temple, the whole complex is absolutely stunning, and it´s said that 70%! of all tourists that visit New Delhi visit Akshardham. It´s not an old temple, it got open only back in 2005, but it’s still definitely worth a visit. PS. There’s a strict no photo rule of the temple; there´s a big fence surrounding the whole complex so you can’t even take proper photos from outside. Nearest Metro Station: Akshardham (Blue Line). Qutab Minar is a 73 m-high tower and called the world’s first skyscraper; it was built all the way back in 1193 by Qutab-up-din Aibak immediately after the defeat of Delhi’s last Hindu kingdom. It´s a world heritage site. Opening Times: Open every day from 7 am to 17.00. Worth a visit? 6/10. Would give it 8/10 if it wasn’t for the new ticket price. 16. Old Fort (Purana Qilla). Opening Times: Open every day from 9.30am to 16.30.00. Entry Fee: 200 Rs for foreigners, 10 Rs for locals. Nizamuddin Dargah is the world famous mausoleum for world’s most famous Sufi saints, and it’s visited by thousands of Muslims every week. Nearest Metro Station: JLN Stadium (Purple Line). Opening Times: 5 AM to 22.30 every day. 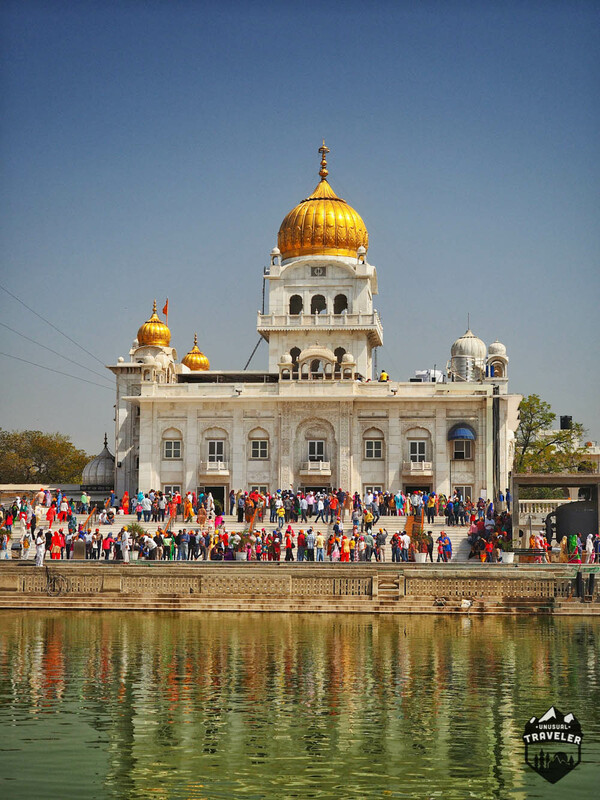 Gurudwara Bangla Sahib is one of the most important Sikh temples and its known for its association with the eighth Sikh Guru. It´s currently nr one on TripAdvisor of things to see in New Delhi. Nearest Metro Station: Patel Chowk (Yellow Line). A Tibetan Monastery in Manju Ka Tilla. Manja Ka Tilla is the biggest? 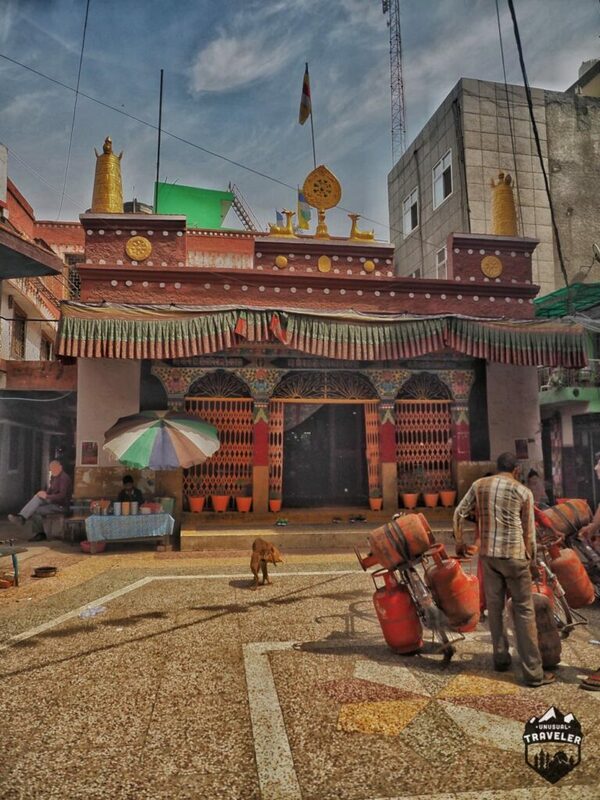 Tibetan refugee district in New Delhi. Over the year has Manju Ka Tilla become a small tourist hub for foreigners that don’t want to stay in the busy and loud area of Paharganj. Except for the Tibetan Monastery so is it nothing else to see, but there numerous shops selling Tibetan souvenirs, Resturants selling authentic Tibetan food. 3 of my personal favourite coffee houses (Ringo being the best with proper black coffee to 70Rs) is located in Manju Ka Tilla. Awesome post on Delhi. I wish I had seen this before I went, some of those places look amazing! Thanks for all the information! Super helpful! I’m going to Delhi in February this year! Added tons of stuff to my itinerary from your list! Thanks a bunch! I think that your scores for most tourist sites are too low. Qutub Minar was extremely interesting. I hired a private guide who charged me only 200 Rupees for my hour that I had to visit. He was archeology professor and was extremely knowledgeable. The entire complex was created by the Mohguls from destroyed Hindu temples and relics. The most pure iron pillar in the world is also here. Yes the 500 Rupee price is high, however, your prices all need to be updated as all state sites cost 500 Rupees to enter if there is an entrance fee. Another fascinating site is the Jantar Minar which is in the city core surrounded by huge hotels and corporate buildings. The entrance is 250 Rupees and is sponsored by one of the hotels. Astrology buffs will love this place and it has very cool light patterns for photography opportunities. I went to the Nizamuddin Dargah one evening and heard the Sufis singing and the harmonium being played. Remember to take a large scarf to cover your hair and remove your shoes. Take extra rupees to give to those begging in the inside dark hallways. Visit the Gurudwara Bangla Sahib early in the morning at 6am and hear them singing here as well. Have your breakfast as they provide everyone with food. Loved the break from the craziness of Delhi at Lodhi Gardens and Humayun’s Tomb which is only a fifty rupee rickshaw ride from Jor Bagh metro station. There is so much to see and I am already looking forward to my next trip to Delhi and India. Useful Article.. Good job. Thanks for the information.